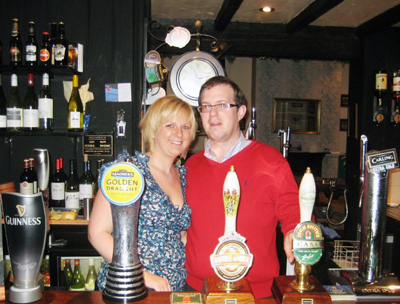 Rachel and Simon extend a warm welcome to the Pax Inn. The Pax is a familly run pub in a picturesque location near to a river and ideal for anglers, walkers or visitors to Wetherby Racecourse. The Pub has an al fresco dining area as well as a restaurant. In the winter The Pax offers a real log fire. The food menu at The Pax offers a good choice of starters and mains together with a specials board. 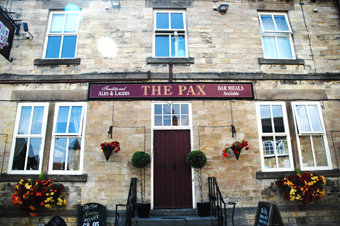 The word Pax means ‘peace’ and the pub originally got its name from after a major dispute between the tenant workers and the estate that owned the land, that of the Hatfeild family. The original pub was in fact called The Hatfield Arms, but whilst this pub was in tatters -- reflecting the relations between the workers and the estate -- the violent dispute was resolved over a meeting on the neutral ground of the pub and a new pub was built under the present name to commemorate this historical event.